For such a popular tourist resort, Big Trees in Felton—now known as Henry Cowell Redwoods State Park—is one of the least understood places in the county. The history of the site begins in February 1846, when Lieutenant-Colonel John C. Frémont, with his partner Kit Carson, passed through the San Lorenzo Valley on a surveying expedition and allegedly camped within a hollowed-out tree on the edge of the Big Trees grove. It was not until twenty-two years later, though, that the location was made accessible to the wider public. 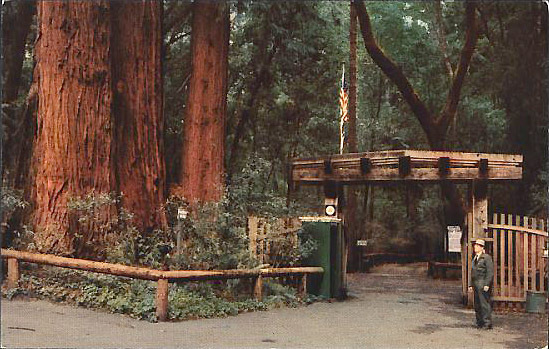 The completion of the toll road between Santa Cruz and the newly laid-out town of Felton in 1868 allowed visitors to come to the redwood grove and peruse the towering giants. A number of small hotels, restaurants, saloons, and other amenities sprang up in the town to support both the industrial trades—mining, lumbering, and tanning—and the nascent tourism market. A year earlier, a San Francisco couple, Joseph Warren Welch and his wife, Anna, purchased 350 acres of Rancho Zayante, which included the redwood grove and the large meadow beside it. Initially, the Welchs intended to use the property as a private ranch—which they did with over half the estate—but a constant flow of seasonal tourists convinced them that access to the redwood grove could not be denied to the public. 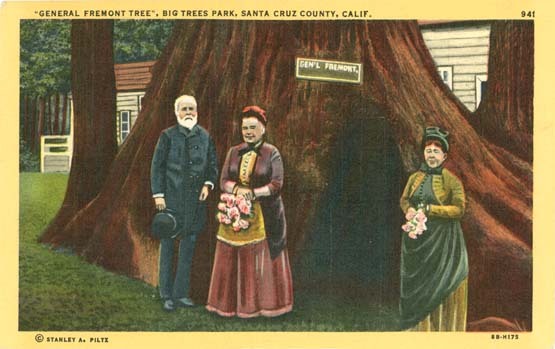 The primary attraction at Welch's Big Trees, as it came to be called, was the "Fremont Tree," the hollowed-out redwood that he had apparently camped within in 1846. However, until the late 1870s, another larger tree was also known as the "Fremont Tree" since Isaac Graham, owner of Rancho Zayante, had named it such back in the 1840s and even carved an "F" in the bark to designate it. 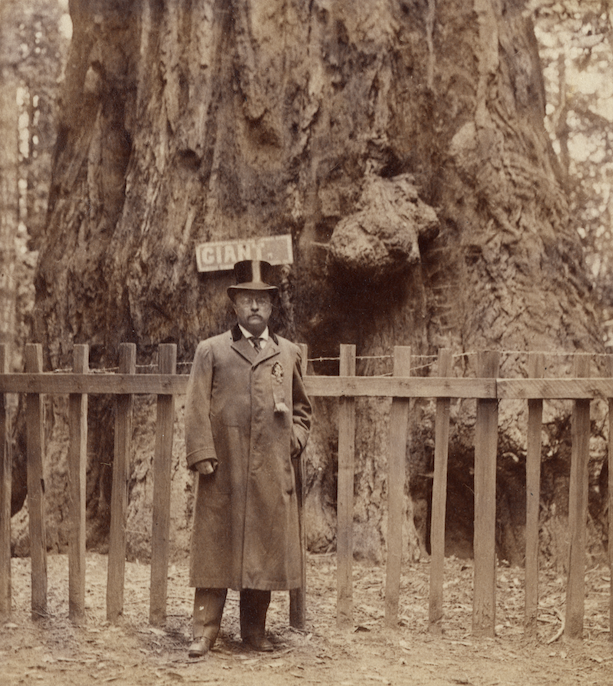 Slowly, the name transferred to the smaller, albeit more famous tree, and the larger tree was rechristened the "Giant" around 1884, right around the time the "F" had entirely disappeared. 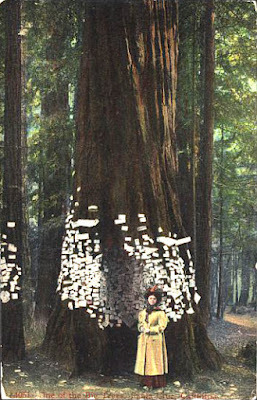 From the mid-1870s to the mid-1900s, thousands of people came to visit Welch's Big Trees, and a tradition began of nailing postcards to the bark of the giant trees. 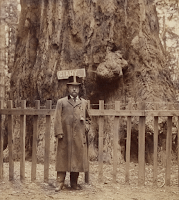 All of the named trees, which increased in number almost annually, eventually were marked with postcards until President Theodore Roosevelt visited in 1903 and effectively ended the practice by making a derisive off-hand comment about it. 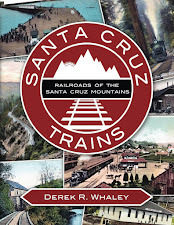 The arrival of the Santa Cruz & Felton Railroad in 1875, which installed a passenger station across the San Lorenzo River near the modern-day site of Cotillion Gardens, only increased the popularity of the grove. When Joseph Welch died in 1875, his wife leased the grove to J.M. Hooper. Hooper quickly began building structures across from the Fremont Tree, beginning with a small hotel. The arrival of the South Pacific Coast Railroad in May 1880, which passed immediately above the hotel and through the Welch property, prompted Hooper to expand and add a dance floor between the Fremont Tree's grove and the lonely Giant. The railroad, meanwhile, set up a flag and picnic stop nearby for use by tourists. Over the years, the hotel resort expanded to include two additional buildings that extended housing, with a total of approximately ten rooms available to visitors by 1884. At one point, a restaurant was added to the main building with a canopied dining area situated beside the structure. A saloon and general store were also maintained to support visitors to the resort. But all this expansion bankrupted Hooper. Anna Welch transferred the resort lease to David Aldrich and then Joseph Ball, the latter of whom ran the Central Hotel in Felton. Ball left in 1900 and one of Anna's sons, Stanly, took over. Stanly lacked the vision of his parents or his predecessors in management. He saw the grove purely as a source of profit and did not care for either the trees or the family's reputation in the community. In response, the Welchs' neighbor to the south opened up his own resort. Henry Cowell owned thousands of acres of mostly second-growth redwood which had been harvested continuously since the 1850s for use as limekiln fuel. By 1901, much of the area around the grove was suitably regrown enough to support a second resort, which was appropriately named Cowell's Big Trees. Milo Hopkins was given the resort lease and permission to build appropriate structures to support the resort. In a clearing between the Giant and the railroad tracks, Hopkins erected a small club house which included a coffee and gift shop, with a photo hut across the clearing from it. Nearby, cabins and a tennis court were erected alongside the San Lorenzo River for seasonal tourists. The Welchs, furious, built a tall fence along its property line, barring entry from anyone except those who paid an entry fee. Cowell and Hopkins, with their less impressive redwoods, did not charge a fee, making their money primarily through concessions. Milo and his son George ran the resort until 1942. Competition with Cowell and the Hopkins certainly ate into the Welch family's profits, but the allure of the more ancient trees within their grove still attracted tourists. Nonetheless, the advent of the automobile and the ease of visiting the park via train meant that the buildings in the Welch Grove declined in importance. 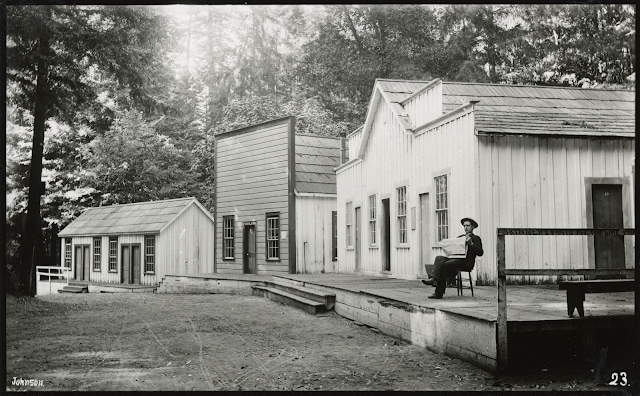 By 1919, they were in disrepair and Metro Pictures repurposed them as a "Pioneer Town" appearing in the film False Evidence. One of the buildings became a Pony Express office for the film and postcards at the time advertised this leading to a persistent rumor that the Pony Express extended to Felton despite the fact that Big Trees did not yet exist when the Pony Express went defunct in 1861. 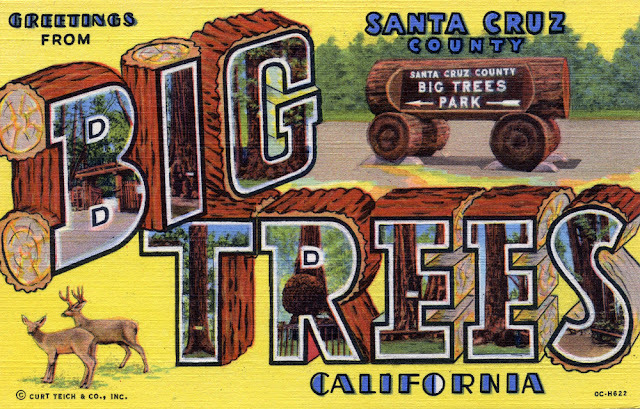 Postcard for Santa Cruz County Big Trees Park, 1950. 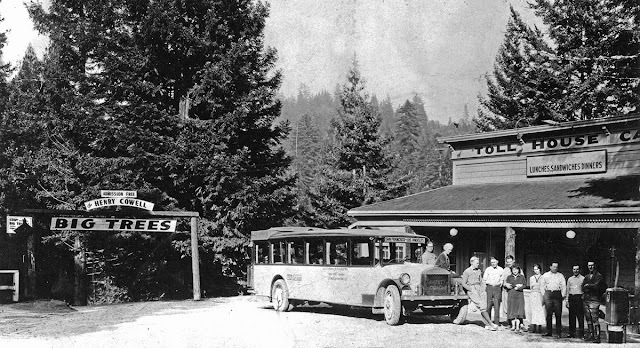 The Welch Grove itself was purchased by Santa Cruz County in 1930 after a brief attempt by Joseph and Anna's two sons to sell the property to a logging company. Since the former access to the grove was through property still owned by the Welch family, the county quickly constructed a bypass road that crossed the San Lorenzo River just south of Felton along State Route 9. At the junction of this road with Highway 9, a large redwood trunk was installed with the name of the park engraved on either side. Since the road now entered from the west rather than the north, a road was built through the large meadow between the river and the Welch Grove, at the end of which a small dirt parking lot was built. 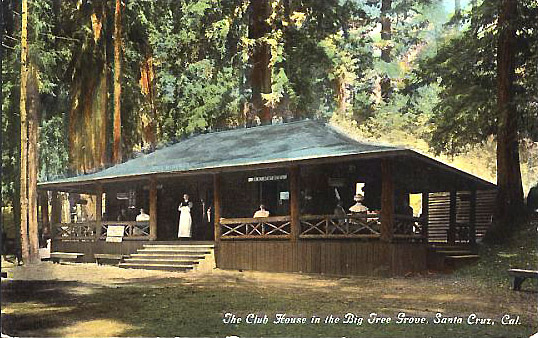 Just within the grove, the Big Trees Inn was built in December 1932 and served as a concession stand and visitor center, as well as a home for the concessionaire. The conversion of Welch's Big Trees to a public—and free—park in 1930 crippled Hopkins' Big Trees, which was struggling already due to the Great Depression. The railroad continued to bring customers to the park throughout the year, but photographs of the time show the buildings in a declining state of repair. The end of railroad service over the mountains and the US entry into World War II ultimately ended the park since tourism was virtually non-existent. The park closed in 1942 but remained in private hands until 1954. Whether there was any tourism activity in Cowell's property during this time is unknown. 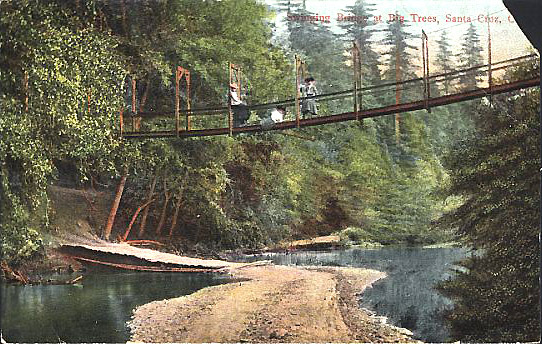 Prior to 1954, visitors to the park parked at modern-day Cotillion Gardens and crossed the San Lorenzo River via a swing bridge, but buses were able to come to the park by crossing a seasonal ford built across the river at the bottom of Old Big Trees Road beside the Toll House Resort south of Felton. The Big Trees Inn across from the modern-day visitor's center, c. 1950. 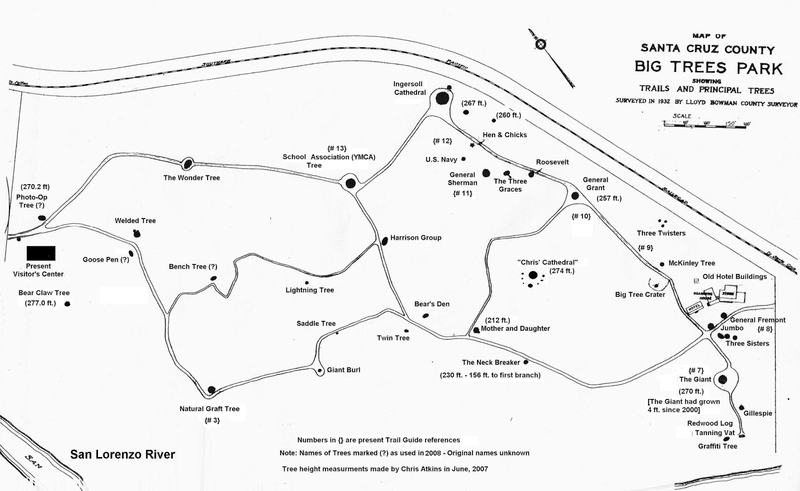 In August 1954, Samuel H. Cowell sold 1,623 acres of his lands—almost everything within the San Lorenzo Gorge including his Big Trees Resort—to the state with the requirement that the Santa Cruz County Big Trees Park also be included and the two units be combined under the name Henry Cowell Redwoods State Park. Both the state and county acquiesced and the park has changed relatively little ever since. The ford over the San Lorenzo River was immediately abandoned and the aged swing bridge was destroyed in the 1955 flood. There are few remnants of the old park left. Above the railroad tracks, there is still a clearing where the dirt tennis court once was located. Meanwhile, a seasonal bridge is still installed across the river near the railroad bridge at roughly the same location as the old swing bridge. On the opposite side of the park, the large entry sign log has been re-carved to represent the current name of the park, but otherwise sits where it has always been. And lastly, the posts that stop vehicles from entering the redwood loop are still those installed in 1932 in front of the Big Trees Inn. Otherwise, only empty lots remain to mark the foundation sites of buildings long since demolished. The old Welch buildings were demolished around 1957 after a tree fell through the middle structure and the state park decided the buildings were in too much disrepair to maintain. Posts sat in the clearing until the mid-2000s when new bathrooms were installed and construction crews removed this lingering trip hazards. The fate of Hopkins' club house and its adjacent buildings is unknown, but may have disappeared soon after the resort closed in 1942. 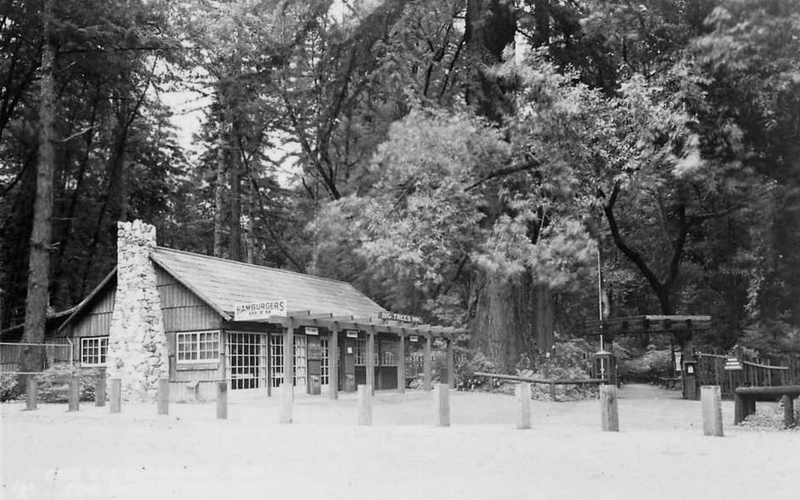 In September 1984, the old visitor center (the Big Trees Inn) shut down and was replaced by the current visitor center that now sits across the trail from the site of its predecessor. Bliss, Traci, and Randall Brown. "Two Trees for General Fremont." Redwood Logging and Conservation in the Santa Cruz Mountains—A Split History. Santa Cruz History 7. Edited by Lisa Robinson, 101-112. Santa Cruz, CA: Otter B Books, 2014. Clark, Donald. Santa Cruz Count Place Names: A Geographic Dictionary. Second edition. Scotts Valley, CA: Kestrel Press, 2008. The swing bridge and ford were only for visitors to the Cowell portion of the property (which weren't even open in the early 1950s). You visited the County Big Trees Park, so would have come in the same way as today with the Big Trees Inn as the visitor center. Your memory seems great to me! As usual, you know the whole story. Thanks for the clarification. Hey, this is Juliana (Ah Jan) google account. Especially like the 1903 photo of President Teddy Roosevelt visiting "Big Trees". I am checking with Facebook friends in Prescott to see if they can come up with an image of General Fremont in Prescott, Territorial Arizona to determine if this painting is that of the Fremont family revisiting the "domicile" where the explorer Fremont found when his job was to find the coast line in the West coast. 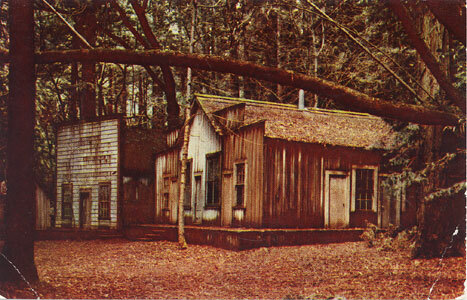 The "Greetings from Big Trees" postcard was printed by the Curt Teich Company. Teich published and printed, but he could also produce cards if required. His embossed linen cardstock, his system for colorization, and his 'Greetings from' images using tall letters, were cornerstones to a large business. There is much information online about who ordered what, the serial numbers, and when something was produced. The Big Trees postcard (0C-H622) was created in 1950, right behind the Big Basin card (0C-H621). Stanley A. Piltz was a customer, and the books show a single order for "Greetings from Big Trees" on March 20, 1950; I expect Piltz was responsible for both this card and the Big Basin card. Stanley Piltz also dredged up vintage photos of General Fremont (with his tree, #8B-H175) and the Big Trees Hotel (Pioneer Town, #8B-176), to have these turned into colorized postcards; both were created by Teich in 1948. 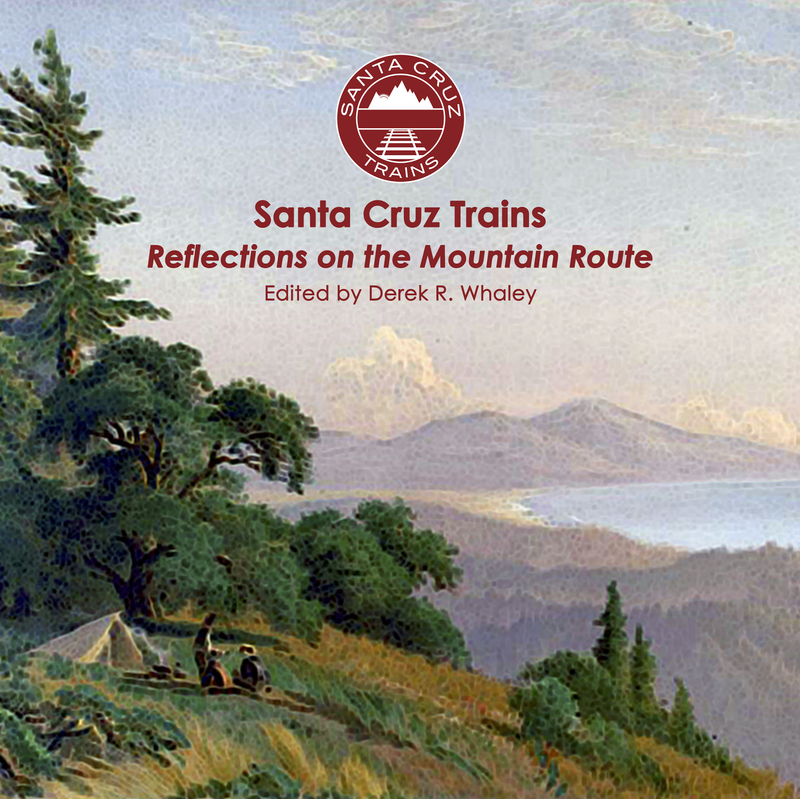 The books show Piltz to be actively buying large quantities of postcards of the Bay Area and the Santa Cruz Mountains from 1940 through 1950, and maybe later. Some things are easily found regarding Piltz, but why he bought and promoted postcards of Big Trees could help answer just how important the park remained in the post-war era.